**LAST PLOT AVAILABLE ** LOOKING FOR IMPRESSIVE WITH AN ABUNDANCE OF WOW FACTORS?.. Welcome to "The Oaks" development, set in an enviable location on Newport Road, just a few minutes walk from the charming village high street of Woburn Sands, with its shops, cafes, restaurants and train station. **GREAT LOCATION & NO UPPER CHAIN** This beautiful and well presented family home located near to Furzton Lake could now be yours. 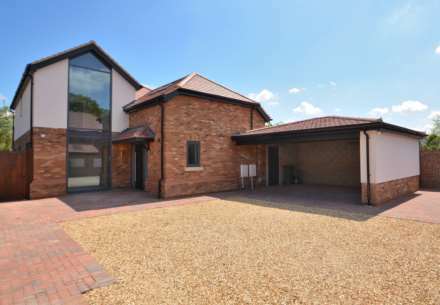 Offering spacious living accommodation with five bedrooms, three reception rooms and a conservatory, this property offers an abundance of space. **LOCATION LOCATION LOCATION** This delightful family home in Willen offers amazing space both inside and out for the entire family. Plenty of parking, desirable location and a master bedroom with en-suite, walk in wardrobe and balcony with views over the private rear garden. **STUNNING HOME**BURSTING WITH CHARACTER & CHARM** Believed to date back in part over 200 years, you can feel the history oozing from every nook & cranny as you walk through this unique cottage whilst being surprised at the superb family space created with a modern extension. **SPACIOUS HOME IN PRIME A LOCATION** A large executive home located at the end of a cul-de-sac and with the added benefits of a double garage and driveway providing ample parking for several cars, good size rear garden and separate reception rooms. Offered for sale with No Upper Chain. A delightful location, approximately half a mile outside the village of Ridgmont, with views over open fields to the front. Converted to a high standard with stylish sanitary ware including the en suite to the master bedroom set on a mezzanine and a fitted kitchen with granite worktops. Standing on your balcony with views over rolling countryside is just one of the perks of living in this charming Thatched cottage. Offering a further Garage with stable, Four reception rooms, Four bedrooms with Two En suites situated on just over 3/4 of an acre. **VACANT AND READY TO MOVE INTO** Cul-De-Sac location, a stones throw from the original village of Milton Keynes. Accommodation spread over 3 floors includes 5 bedrooms, 3 bath/shower rooms and 2 reception rooms. **FANTASTIC FAMILY HOME IN VERY POPULAR AREA** Remodelled by the current owners. 4 double bedrooms, 2 large reception rooms, extended and re-fitted kitchen, creating L- Shaped cooking, dining, entertaining space, landscaped gardens. Set in a Cul-De-Sac with parking and a double garage to the side. **A GREAT FAMILY HOME** Refurbished and extended to create a superb open plan living space with separate Lounge & Study. Re-fitted Kitchen, Bathroom & En-Suite. Set in a Cul-De-Sac within good school catchment area.